Fisher-Price is recalling thousands of toy electric cars over a faulty gas pedal that could cause injuries, the company said. 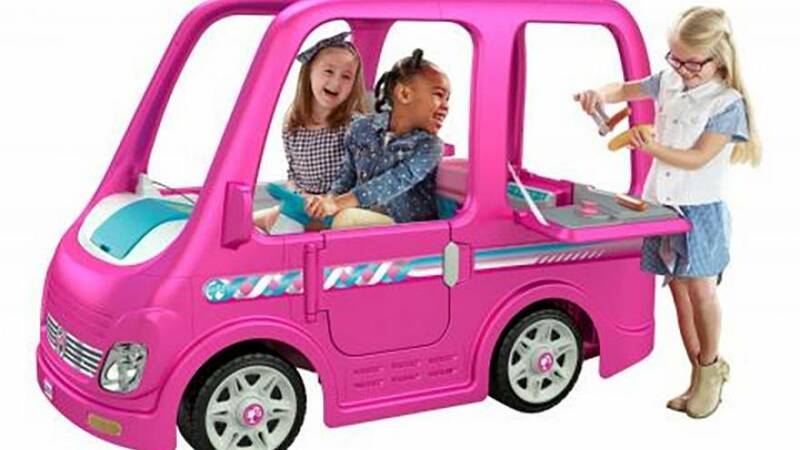 Though no injuries have yet been reported, the Power Wheels Barbie Dream Camper is being recalled because the toy continues to run after the gas pedal has been released, Fisher-Price said on its Facebook page Tuesday. The recall is specific to the model number FRC29. "If you have this product, immediately take it away from children and contact Fisher-Price for a free repair," the company said. Fisher-Price said it was working with the U.S. Consumer Product Safety Commission and voluntarily recalling the camper. 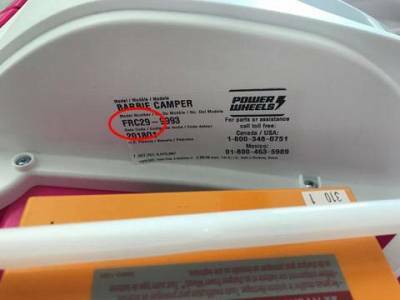 About 44,000 Power Wheels Barbie Dream Camper will be affected by the recall after Fisher-Price received 17 reports about the defect, according to the Consumer Product Safety Commission. The campers are battery-operated and have a play kitchen, a foldout grill and pretend campfire. They were sold exclusively at Walmart stores July 2018 through January 2019 for about $400, according to the commission.